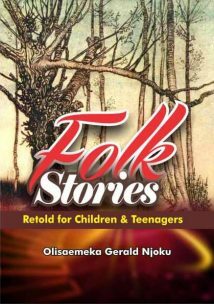 “Folk Stories Retold for Children and Teenagers” is a collection of ten Igbo folk tales, translated from the Igbo language and retold in a thrilling way in order to make them more interesting to schoolchildren and teens. Some of the tales create fun and laughter by exposing foolishness and mischief while extolling honesty and good conduct, thereby impacting good morals on their children-listeners. "Whether or not you have the power in your hands, matter little if control isn't yours" F.L.U.X is a fictional story delving in the Nigerian politics and military arm. This story focuses on a special ops unit of the military . In this issue, Waterloo, join Arthur, Brown and the rest of their squad as they stakeout the famous Niger Delta Mangrove. The Rule of Salt and other stories. The Rule of Salt and other stories is a meeting of multiple tales, woven into a complex intricacy of varying characters, experiences and strife - all unified in a single purpose of progress. To mark the 1st year anniversary of Liber Book club, Enugu, Nigeria, its members wrote They Came To Stay- a collection of short stories. Not that they are amateurs , they are closet writers who have attempted to produce a literary work commensurate with that of their model authors. This e-book does not only contain short stories themed around mermaids or mammywater as its fondly called in Nigeria. It also features the summary of Liber Book club discussions and a cross word puzzle game of all the books the members have read as a group. It is hoped that you will be moved to read those books too and attempt the crossword puzzle game. Patrice Émery Lumumba (2 July 1925 – 17 January 1961) was a Congolese independence leader and the first democratically elected leader of the Congo as prime minister. He was assassinated on 17 January, 1961. The last days of Lumumba is a fictitious drama on how the Congolese leader was allegedly killed.Written by Iguh, Thomas. Written by Njoku, Nathan. A comedic drama on King Johnson and his wayward wives who plan to kill him and take over his kingdom with the help of their boyfriend/servant, Okoronkwo. Written by Okafo,Motulumanya.J. who wanted to dispel the notion that Igbo people love money and will do anything to have it.The play centers on the quest for wealth and it is viewed through the eyes of Igbo,Hausa, and Yoruba ethnic groups. Money is a universal want. Destined Vows is a Nigerian romance story written by Ogochukwu Echezona. The Okike Prize anthology is a compilation of literary works shortlisted in the 2017 Okike Prize for literature. It features the works of Shade Mary-Ann, Victor Ugwu, Prosper Mayor, Precious Arinze, David E. Benson, Oladimeji Luqman and many others. There was once no National literary prize in Nigeria targeted at Undergraduate writers covering all genres before the Okike Prize for literature. Afterwards, all the brilliant stories were woven into a three part anthology - telling the stories of many hearts, time and place. There is a rhythm of creativity resonating in every single entry and a perfect blend of many genres in a single piece. Written in the 1960s by Mrs. Chinwe Akaosa. In this booklet, we view marriage through the eyes of an Igbo married woman. She explains and gives advice on how to handle a spouse in a traditional or modern Nigerian home of the 1960s era. Silhouette series is an ongoing project by poet, Nnanna Okpanku in collaboration with Nnebedum Favour Ifechukwu,and Lilian Isih. He has given us a sneak preview with the first three visual poems: The Runaway Bride, Mirror Mirror on the wall, and A Stranger. Silhouette series is one of a kind poetry album which The Crater Library loves to categorise as Visual Poems. Visual poems are poems accompanied by photographs which capture the essence of the poems. The poet ensures his subject matters (words and models) are aligned to capture the feelings he is expressing. Neither deducts from the other, but the well crafted words and breathtaking photography suspend's the readers' mind to a plane where he/she feels and understands the emotions behind each medium. They Died in the Game of Love. Written by Umunna Cyril. Anthony is unfortunate in love.He has loved and lost once but is willing to move on.Agnes comes into his life and this time around,the past is back to bite him once again. Written by Stephen,Felix. N. A comedy which portrays the kind of life decent youths should live and the etiquette's of a relationship. Written by Eneanya, Nonye. This play in four scenes recounts the fluctuating fortune of Mr Dimgba and his family. It captures the financial travails of the average Nigerian family in the 1960s. Is it comforting when i note that not much has changed since then? Written by Stephen Felix. A handbook on love, this drama deals on love and what it requires. Written by Akuneme Nkem and published in the 1960s. Okondu has a first hand experience with unorthodox medicine and pays the price for it.